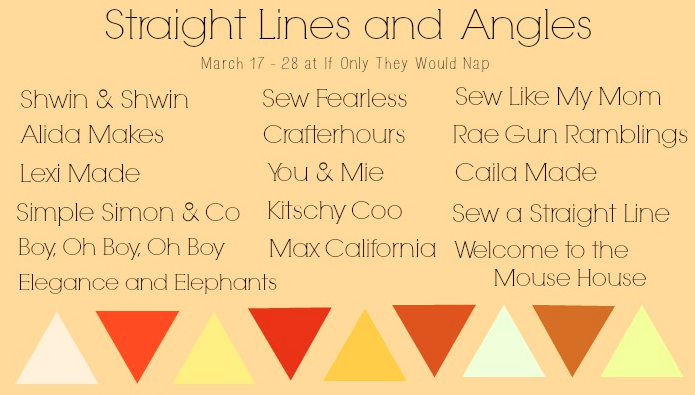 Straight Lines and Angles is a series being hosted by Jess from If Only They Would Nap, and I'm honoured to be a part of the wonderful line-up of guests sharing their geometric infused designs. Michael Miller Technicolor Triplet Kryptonite has been sitting in my stash for awhile, and I knew it was the perfect choice for the dress I wanted to make. 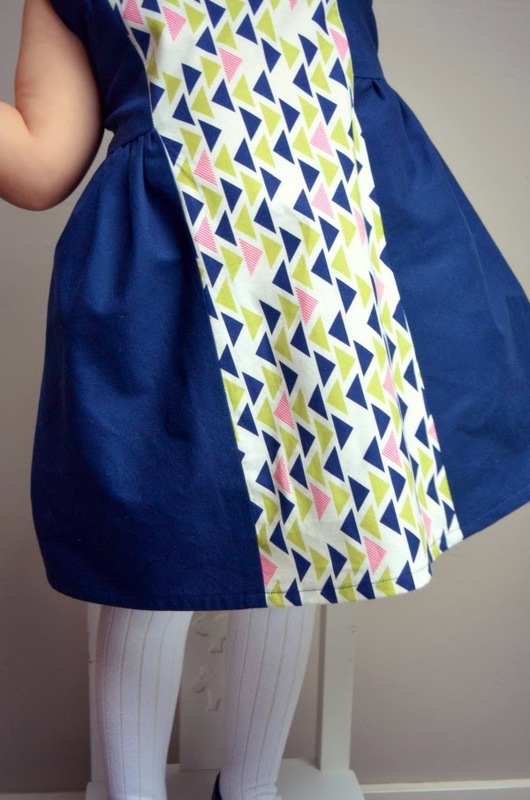 And because I wanted to really highlight this fabric, my initial thoughts were to design a dress with a princess seam to keep the pattern of the triangles intact. With some experimentation, I made a partial princess seam, with a gathered panel all around the rest of the dress. There are some glimpses of the pink kona cotton I used for the facings which add some contrast, too. I'm kind of excited about the possibilities for pairing different combinations of fabrics with this design. 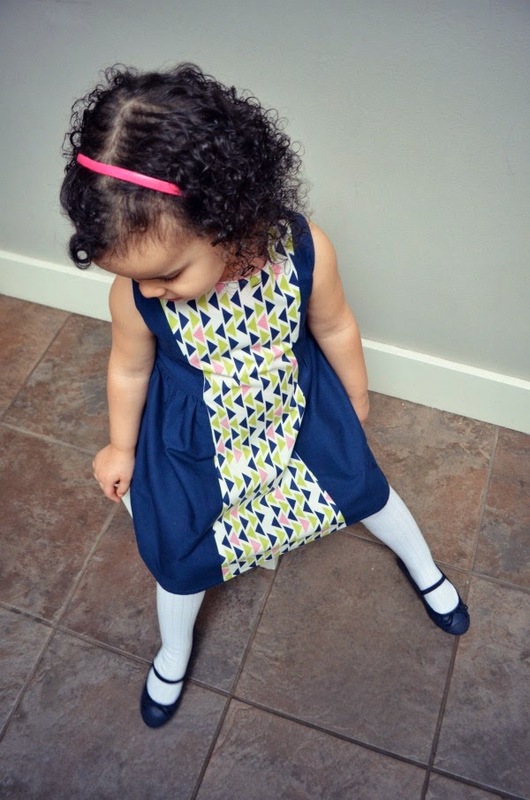 A few more of these dresses may pop up in Anja's wardrobe this season! For the closure in the back, I debated whether to use an invisible zipper (my current favourite), but then decided to go with a partially exposed regular zipper to incorporate a 'straight line' as part of the design. Thank you Jess, for hosting this great series! Follow along for more inspiration, tutorials, and designs, all with cool & trendy geometrics. And also, there's a giveaway with amazing prizes up for grabs...enter below for your chance to win. 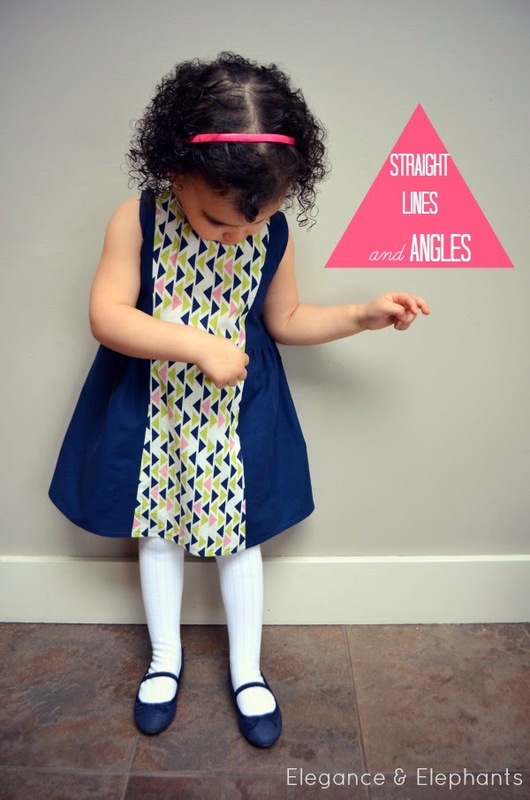 12 comments on "Straight Lines and Angles"
what a great dress. looks like an amazing pattern! That is such a cute dress! Good one! i think the zip is a cool suprise for the back! Love it. oh how adorable! The panel on the front of the dress (I am sure there is a proper term, but let's go with this for now, OK) is such a fun detail! Love the matching ties. 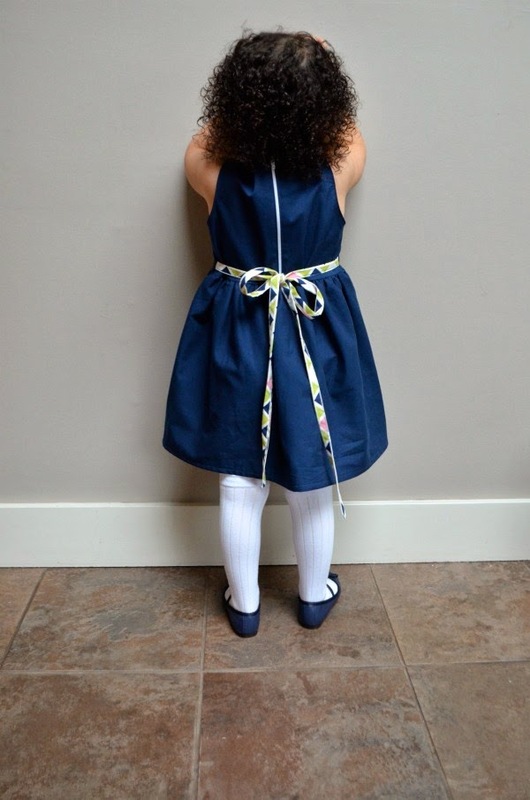 The partially exposed zipper is a cute detail, too. So super cute! This has been such a fun series! So pretty - The dress is so classic. Love it!